While many of our pet blogging friends are away at the BlogPaws conference right now, I thought it might be a good time to share the results from last month's BlogPaws Pet Blogger Influencer Group that I am a member of. As a member of this group, I am part of a trend-setting panel pet bloggers and pet parents who share their opinions on monthly surveys. 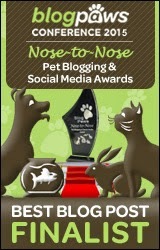 The BlogPaws Pet Blogger Influencer Group has a highly valued voice in the growing pet blogospehere. Each month, the results of the surveys that the Influencers take part in are published into an infographic. Last month, we were asked a variety of questions pertaining to working with brands. I value working with brands that I already love as well as working with new brands I may have never heard of before. When I first started blogging, I didn't think this would be such a crucial part of my blog but I truly love learning more about pet brands and products and how they can help my readers. If you are not a pet blogger, this infographic may still interest you to know what goes on in an average pet blogger's home. 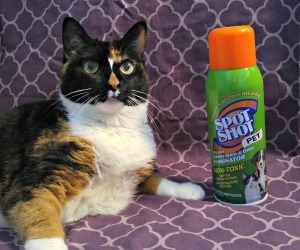 I am definitely the main purchaser of all pet products in my household. My boyfriend leaves our pets' care up to me most of the time. 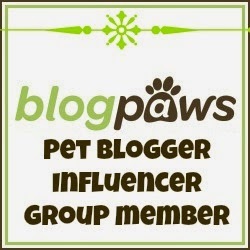 I'd say that I am in the 55% of Pet Bloggers who spend between $100-300 a month on pet supplies. I am also in the 87% of Pet Bloggers who donate to shelters and pet welfare causes. One thing that has helped me be able to do this is my blog. Since I live in a single income family, donating to animal welfare causes would not be in my budget. But, since I am able to make some money by blogging I am in turn able to donate small amounts here and there. Me and my blogging assistant. Almost 85% of Pet Bloggers want to work with brands, including myself! Like I said before, I love sharing products that my readers may be interested in and offering discounts and/or giveaways to you guys when I can. I also enjoy writing about health-related topics when I think up good ones that I feel comfortable with. 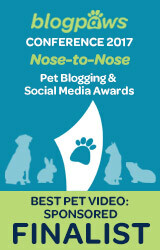 So here's to all of our blogging friends at BlogPaws in Las Vegas right now. Hope everyone is having a fabulous time, but I know they all are! Maybe next year I'll finally be able to attend. That is so kind of you to do what you can to help. We too hope every one over at Blogpaws is having a great time. Reviews and recommendations are so helpful specially for niche products for specific problems. Have a fabulous Friday. Well, it really is hardly enough... but I know that every little bit can help in some cases. Great post! Have fun at BlogPaws! I think it would be pretty awesome if they could do a UK conference. Of course, I know the US one is pretty time consuming. It would be cool if you guys could plan for some sort of weekend meetup or something. 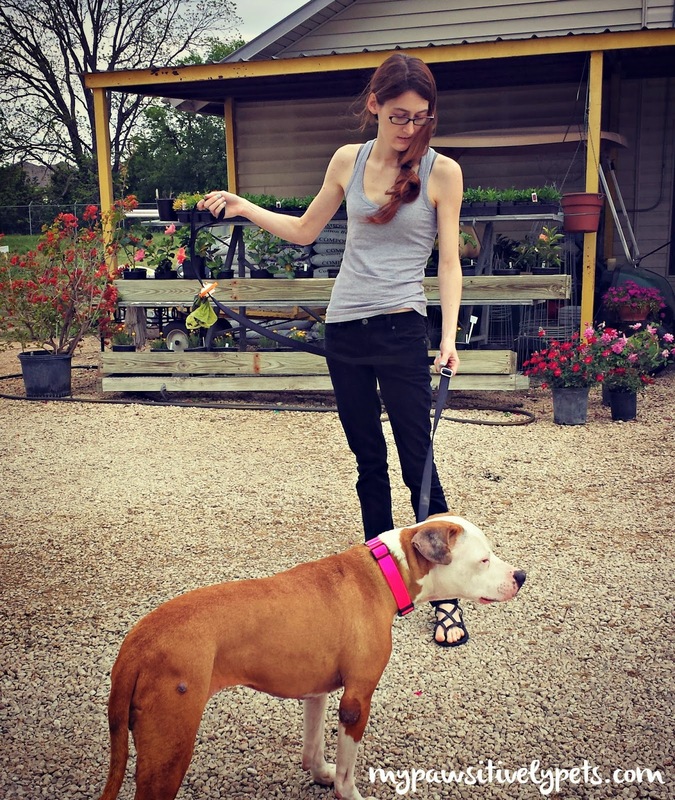 Thanks for sharing about being a BlogPaws Influencer, Ann. It's really cool that it helps you help animals. We hope you'll be able to go to the conference in the future, because we'd love to meet you in person (btw, we did not go this year, either...). Would love to meet you guys too. I like the way you laid out the information of the infograph! Next year's conference is in Nashville so maybe you can make the trip. It really is incredible to meet all of the bloggers in person! Really interesting infographic and some great figures too. Whee hope that Blog Paws might come to the UK one day so whee can have a meet up here too!